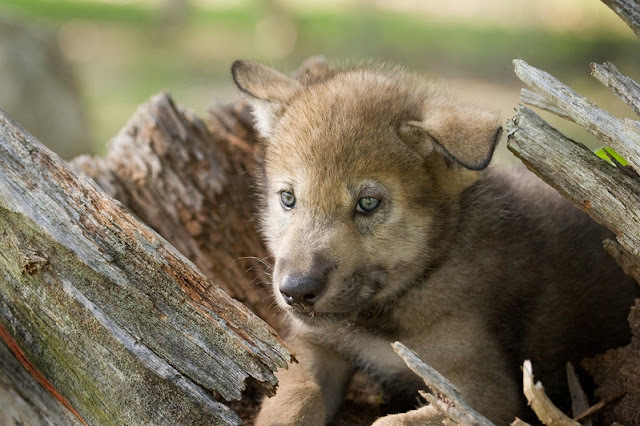 For centuries mankind has misunderstood wolves, be it the cinematic defamations in films or the latest federal delisting of gray wolves from the endangered species list. 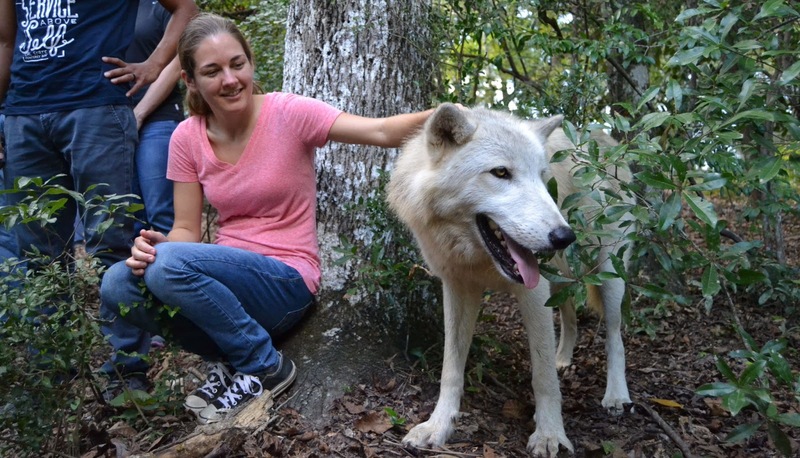 While articles, books and documentaries can surely enlighten us, those outlets don’t seem to do wolves justice when a place like Seacrest Wolf Preserve exists just 80 miles west of Tallahassee. 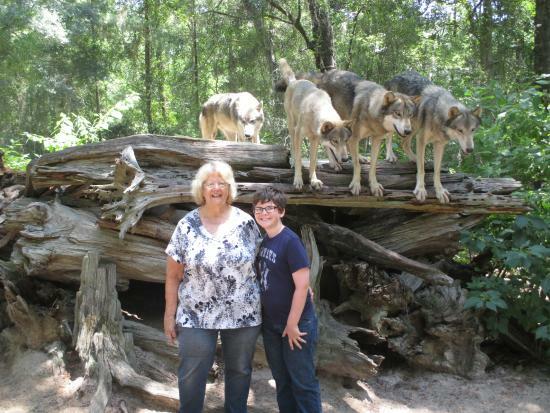 Wayne and Cynthia Watkins founded Seacrest in 1999. What began as the rescue of a single 8-year-old gray wolf from an abusive owner has blossomed into a nonprofit wolf preserve that is now the largest of its kind in the Southeastern United States. 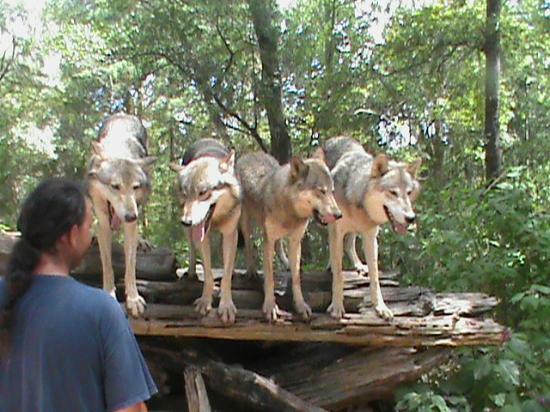 It is home to several packs of Gray, British Colombian and Arctic Wolves as well as a lone coyote. 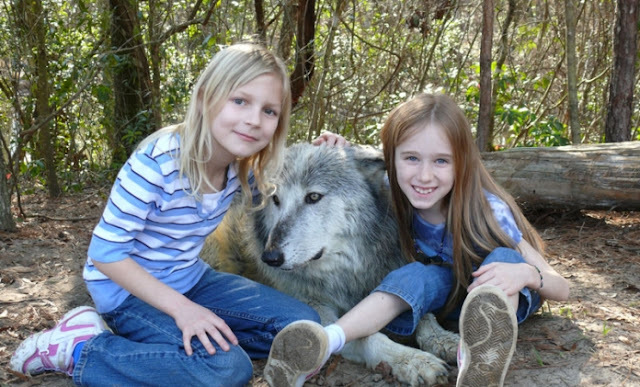 Visitors do not solely observe the wolves from outside fencing, but instead, guests are taken inside the enclosures to meet the wolves firsthand, barrier free. 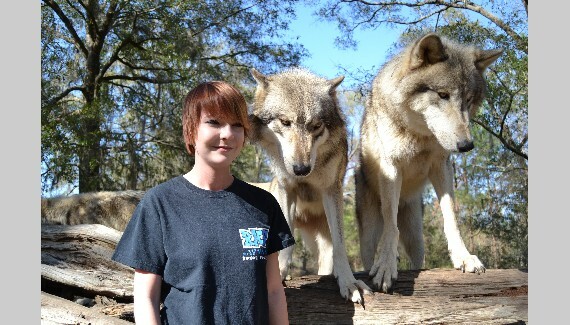 Nearly every Saturday, Seacrest’s committed volunteers take visitors onto the grounds inhabited by the preserve’s 37 wolves. 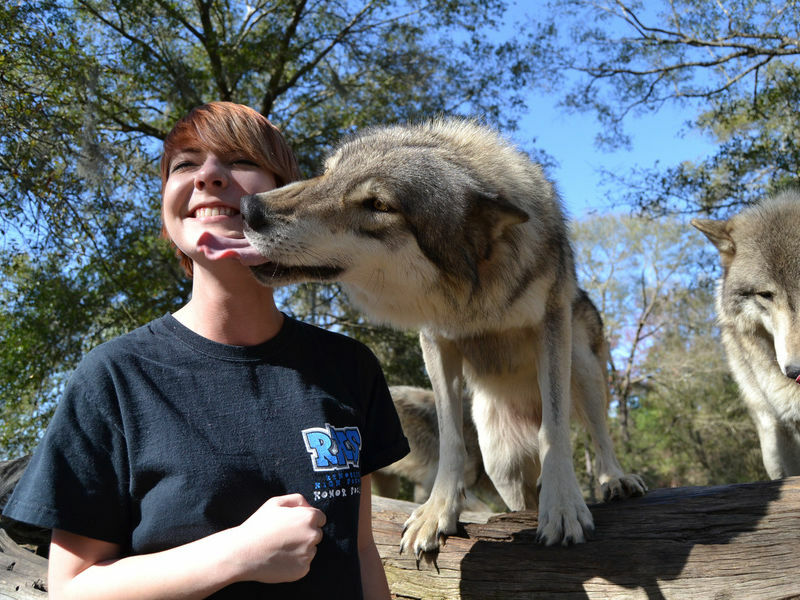 As tour leaders share heartwarming stories with guests, the curious wolves approach their visitors, greeting the lucky ones with kisses. Seacrest Wolf Preserve is located at 3499 Bonnett Pond Road in Chipley, about two hours northeast of Destin. 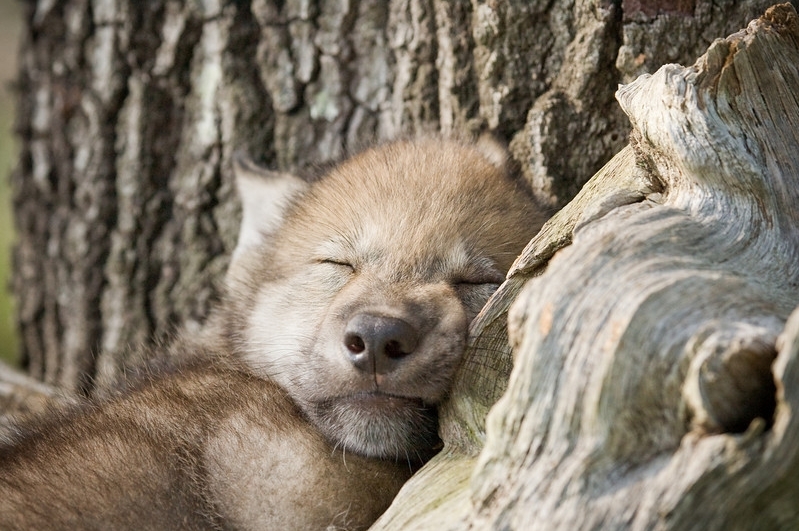 The preserve is located on private property called The Oaks Farm, and the entrance reads likewise with a smaller Seacrest Wolf Preserve sign beneath it. 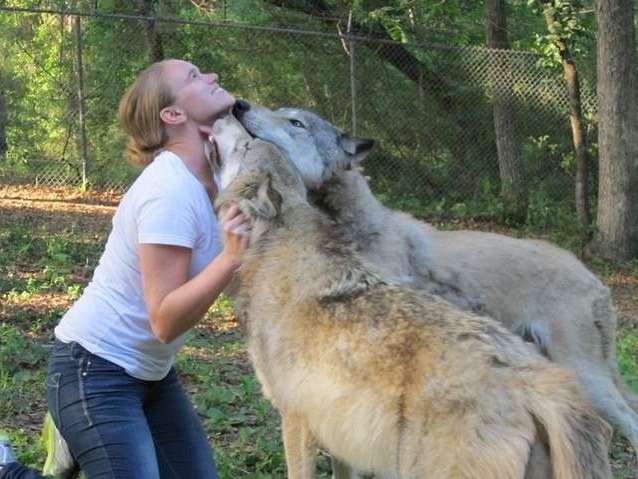 Responses to "Wolves Teaching Humans About Their Importance at Seacrest Wolf Preserve 'Howl-O-Ween' Party "